We decided to break up during this race and each of us run in our respective corrals so each of us will tell a recap from our own race. Since I have been having IT band problems I didn't know how I would do. However I do know that it hurts less when I run at a consistent pace rather than doing a run walk method that I did when I ran the 10K with my sister the day before. There were a few firsts for me this year, one was that I didn't carry a water bottle or wear a hydration belt like I usually do. Since I wasn't going for time, I didn't care if I had to take time out to stop at water stops. Since I had my Ipod on like always do, I can not hear what anyone says so when I got to the first water stop I grabbed some. It wasn't until I had the fluid in my mouth that I realized it was the Propel drink. Then I realized that water was always going to be at the second stop. It was still dark at the first stop so I didn't see what color the cups were. I never take an electrolyte drink during my races but I actually liked it so I did take it a few more times along the course. I did feel like it gave me a little pep in my step after taking it. I am so thankful that it sat well in my stomach. I started in corral "A" again this year. I started in corral "A" last year and regretted not bringing my phone because there were no lines for the characters when I passed them. This year I had no goal time in mind so I was going to stop for pictures if I got there before lines started to form. I was glad to be able to stop for a lot of pictures. Unfortunately some ended up being blurry ( like with the Sleeping Beauty and Prince Philip) or didn't turn out because it was too dark. But I did get a few good ones. I always stop for the 5k and 10k but never for the half and the half always has a lot more photo opportunities with different characters. 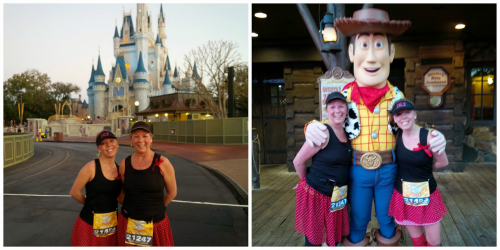 My mom and I started out in the same corral so we decided to run together for a while. I didn't have any expectations for this race seeing that I have been rehabbing a bad knee. For the 10K the day before and for this race, I had been able to manage the pain a little bit better than I did for the half marathon and marathon last month. I knew just how far I was able to bend my leg before the pain got to be too much. Plus I'm sure resting helped some too. I was pretty proud of myself that I was able to stick to my run walk intervals for the most part. My mom was really doing well and since she stayed back with me last year (because I was injured then too), I encouraged her to go on and run her own race. After the Mary Poppins picture stop (around mile 7-ish I think), we parted ways. After that, the weather started to warm up and I admittedly started to struggle. I started to do a little more walking on the highway parts where the road curved because running on that angle was uncomfortable for my knee. Not only was I having some knee pain, but to tell you the truth, I was just plain exhausted. I didn't stop for anymore pictures during the last half of the race. As I was coming off the highway and into the Epcot parking lot, I heard some people call my name. I looked over and it was a family we met at the airport ( remember the 7.5 hour delay?). I couldn't believe they remembered me and that made me feel good! I was proud of my mom for coming in under 2:30 ( 2:28) and had she not started off running with me, I know she could have done much better. I'm actually pretty happy with my time too. I only came in a few minutes after her (2:34) and I actually beat my time from last year! I know it's not my best or what I would be capable of doing on a "good" day, but with a sore knee and exhaustion kicking in, I'll take it. 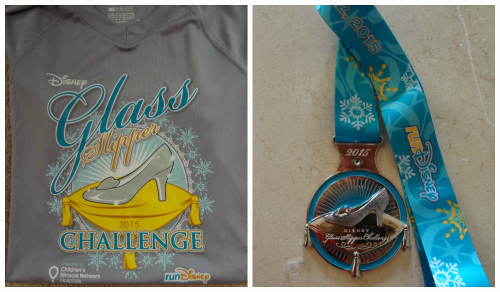 I guess I would call this Glass Slipper Challenge a success! ﻿﻿﻿﻿ We thought the shirts for this year were very cute! Since the medals were the same design as last year (just a different lanyard), we were glad to see that they were silver this year. 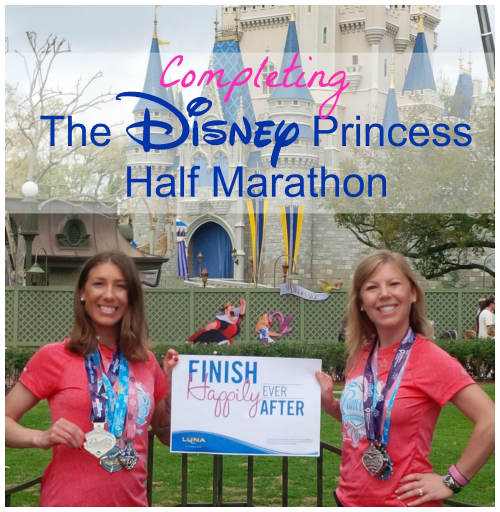 You can read about the Disney Enchanted10K we ran the day before HERE. 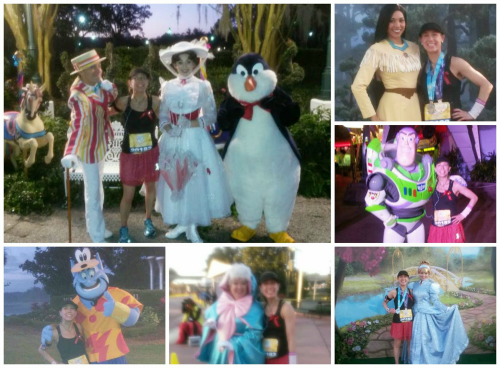 You can read about the Disney Frozen 5K from that same weekend HERE. This is nothing,,,haha. Try running the full marathon! Such a fun race! I actually need your advice: I'm debating on whether I want to just run the marathon again this year or do the Goofy challenge. What were your thoughts on it? Those medals and shirts look great! Congrats to you both! Thank you! I think they are my favorite disney shirts thus far! This looks like such a fun race. I love hearing about all the races you do. Thanks Dannii. 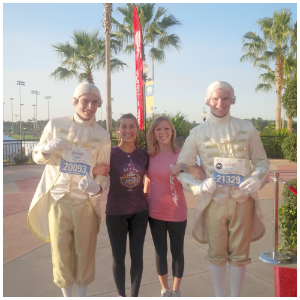 We love Disney races! Congrats on your races ladies! 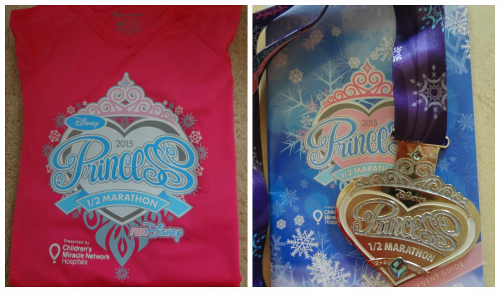 We also loved the race shirt (s) and the medals changing color was a bonus too. 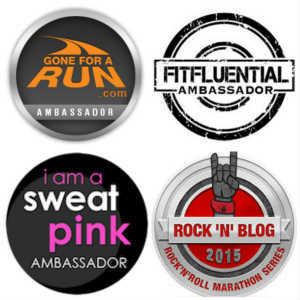 I'm excited about TInk and earning the pink coast to coast since we only have the original C to C medals! 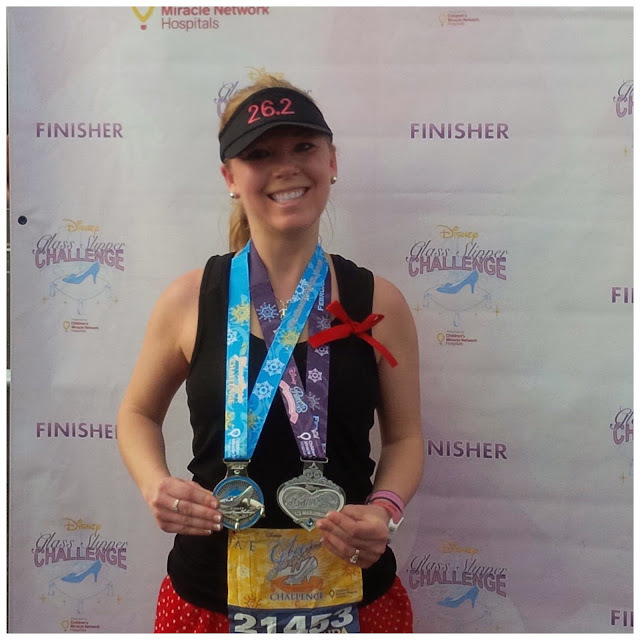 Since we already completed 2 half marathons and a marathon at Disney world, I believe we will have our choice as to which C to C medal we get ( blue or pink)! Great race for both of you! Do you ever do races other than Disney? Congrats to you both! Even though you weren't running for time, you still ran great times! I love the shirts & medals. Yea, that's always a nice bonus! Congrats to both of you! I'm glad that you were able to take your time and get lots of fun pictures! This really seems like the way to go when running a Disney race! It sounds like y'all had fun, despite the injuries. I hope everyone can rest up and heel those knees. I'm so mad at myself-I started right behind you and your mom in the corral and I should have said something but I wasn't sure it was you! oh man! Most beautiful medals ever! Disney races blow my mind and this one sounds like so much fun. Congratulations on a great time despite that IT band and congrats to your mom too!! congrats ladies and congrats to your mom as well - way to knock out great races. m - good job running with a lingering injury as well! You all are such talented runners - even hurting, you did great, M! I did back-to-back races (5K and a half) in January and that was really tough; don't blame you for considering choosing just one race next time. And really, who but a runner would feel funny about ONLY running one race in a weekend?! LOL. Awesome on your sub 2 Lacey, in a Disney race that is definitely something to be proud of, because I know how crowded they can be, Congrats! Meranda, your time was pretty great too, and to think you did that with the extra leg pain, very cool! It actually makes sense that you might have less pain running steady than with the run/walk. I heard a while ago and I want to say I read it in Runners World, but if we don't train for a run/walk method then when we do it, it hurts more because we used different muscles to walk than run, and the walking muscles aren't as conditioned as our running muscles. I'm really hoping you can find a way to shake the leg pain for good!!! Also, I know that I sound like a broken record, but super cute race outfits!!! Under 2 hours? WOW... super impressed! & look at momma go!!! That's so cool that you get to stop and take photos with all those characters, even if they don't always turn out perfectly haha. I bet that makes running 13+ miles a little more fun and makes it go by even faster! Your pictures look beautiful, you both are so darn cute :) I love all your medals at the top! You did great time wise especially after running all weekend :) The Princess was truly the happiest race I've ever run, I just enjoyed the course so much!! !